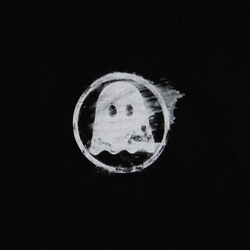 Ghostly - Ghostly Distressed Logo Tee . Bleep. Ghostly Distressed white logo on black t-shirt.